Defiance Merchants Assoc. Donates $500 to Augusta Fire Dept. Home News Community Interest Defiance Merchants Assoc. Donates $500 to Augusta Fire Dept. 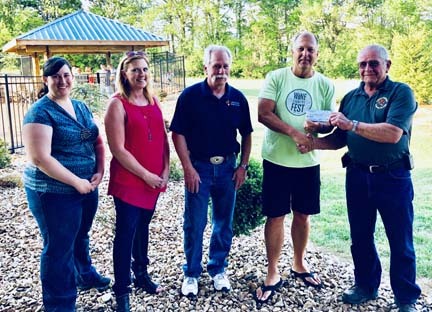 At their May meeting, officers from The Defiance Merchants Association presented a check for $500 to the Augusta Volunteer Fire Dept. The funds were raised during the Annual DMA Christmas Festival & Parade held on Saturday December 2, 2017. Jeff Comotto - DMA Treasurer, and Augusta Fire Chief Bob Struckhoff.